Since commencement, our company has set benchmark in offering V Ring to the clients. We offer wide range of Mica V Ring. These are made up high quality raw material and latest technology. Moreover these products are available in various sizes and grade and can also be customized as per the client specification. We offer these Mica V Rings within the stipulated time frame at very affordable prices. We are dealing in all types of V packing in Chevron. If you have specific requirement, we have the solution for you. All sizes are feasible. Please Contact to us for further details. 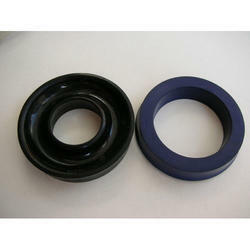 Manufactured from Moulding Micanite in the form of V-Rings or Cones in different shapes and dimensions. The v-ring offers the advantage of a smaller cross-section for sealing ability. It is seldom used singly, however, but rather in sets with suitable header when it is capable of providing sealing against extremely high pressure with only a light preload. Performance varies with angle of 'Vee'. Commutator Vee Rings are made from the high quality moulding micanite which is made at our works. The hand moulded process gives excellent results but is a very labour intensive and slow method of production. It therefore tends to be used mostly for very large rings where quantities are relatively small. 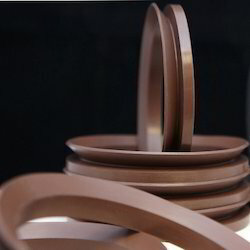 Mica V- rings are made by using high quality mica splitting based, alkyd vinyl bonded to various drawings and specifications manufactured by bonding several layers of multi-segmental milled Micanite sheets in a moulding press. ..